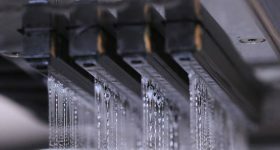 Last year Hewlett-Packard Co. became HP Inc. and Hewlett Packard Enterprise Co. HP Inc. (NYSE:HPQ) has now reported its first full year of trading, during a time when the company is increasingly vocal about its plans for a new market, 3D printing. 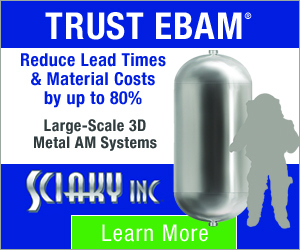 The U.S. company reported non-GAAP diluted net earnings per share of $0.36, a decrease of almost 25%. Profits for the enterprise were down by 63 per cent, and revenue dropped 6 per cent. 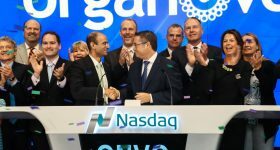 Recognizing the evolving and difficult market conditions Dion Weisler, President and CEO said, “we believe change equals opportunity and that we would reinvent ourselves and our business to drive long-term success” on yesterday’s call with investors. 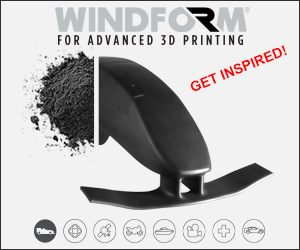 HP Multi Jet Fusion at formnext 2016. Photo by Michael Petch. 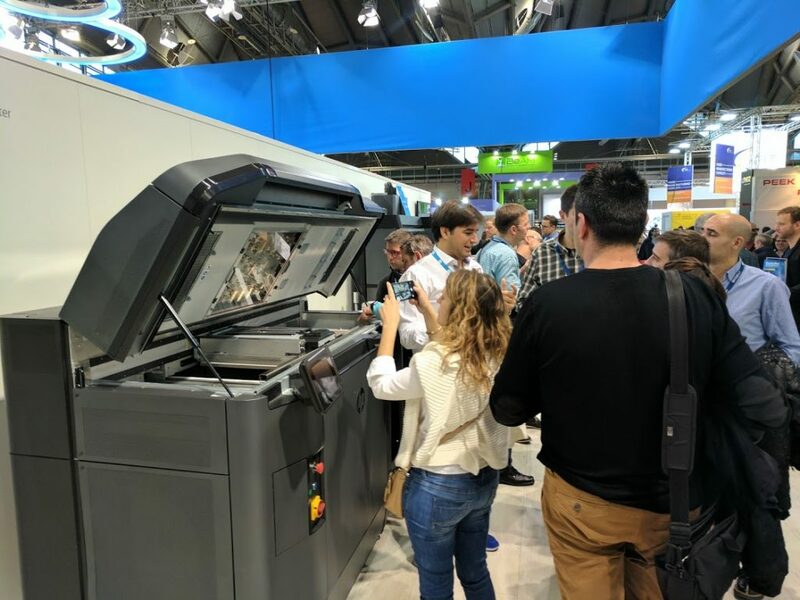 HP Inc. recently brought a working model of the long awaited Multi Jet Fusion 3D printing system to the formnext expo in Frankfurt. 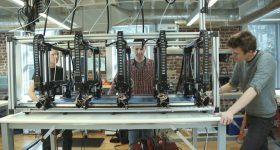 This was the first chance public in Europe got to see the 3D printer in action. 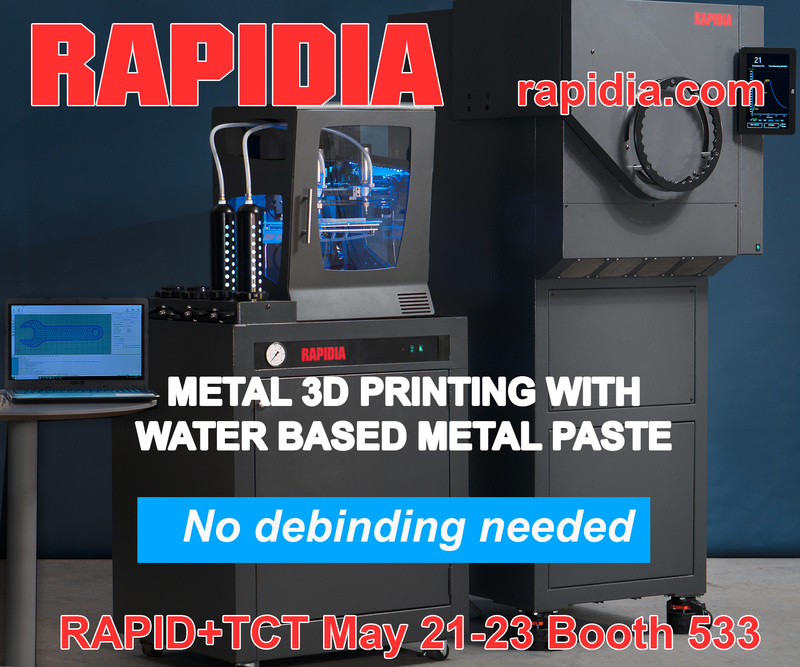 Although journalists and investors were invited to visit Barcelona earlier this year, where many of the bright minds behind the project are based and the company also displayed a 3D printer at the TCT Birmingham, UK show in September. 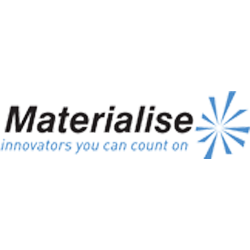 In support of our future strategy in 3D printing, Materialise, a leader in additive manufacturing and 3D printing is adding HP’s jet fusion 3D printer to its broad suite of technologies. 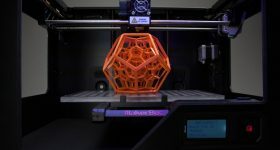 Several HP co-development partners including Materialize, Jabil and Shapeways will receive their first installations of the jet fusion 3D printer in the next two weeks. 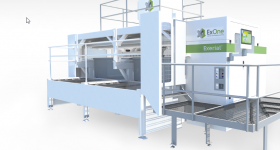 On the materials side HP are, “gaining momentum with leaders like BASF, who has announced a commitment to the HP open materials program, and Evonik Industries who will introduce what they expect to be the first set of five materials to merge from our platform in 2017.” In the traditional 2D printing business HP drew flack in September when a firmware update from earlier in the year locked out ink cartridges from 3rd party manufacturers. 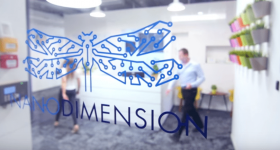 As recently reported by 3DPI, HP are applying expertise in the 2D market to change what is possible with 3D printing. 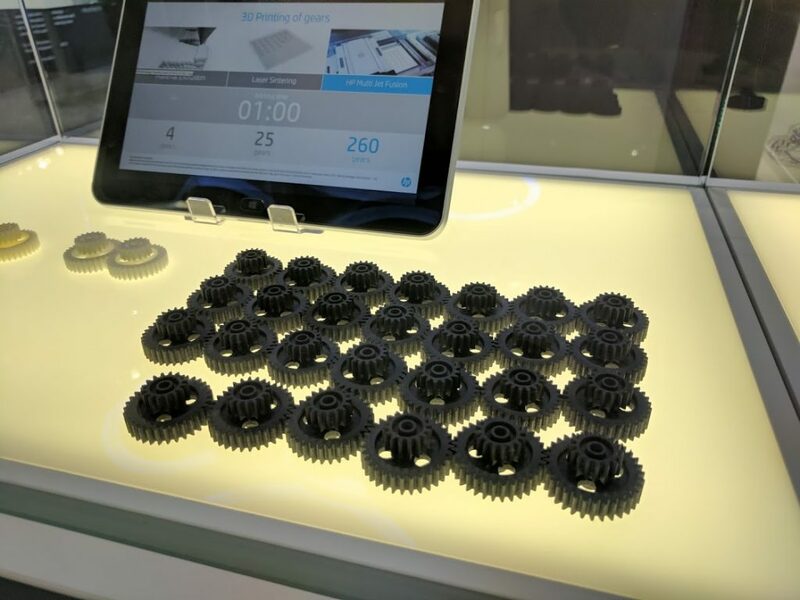 HP MJF 3D printed gears at Formnext 16. Photo by Michael Petch. 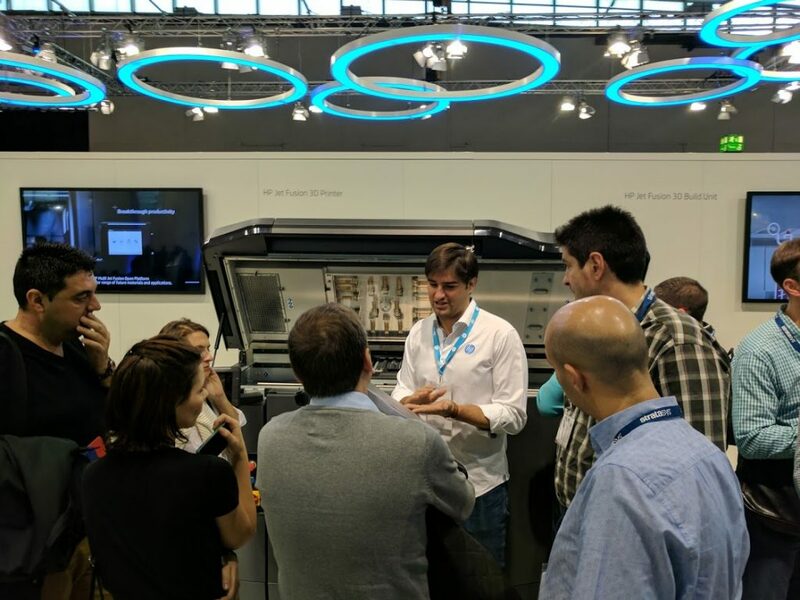 HP’s 3D printer drew a crowd at formnext 2016. Photo by Michael Petch. It is too early for HP Inc. to recognise revenue from 3D printing but the technology is one of their, “key long-term growth drivers” further validating the industry along with recent news about the ongoing industrialization of the market and moves by GE and Siemens. 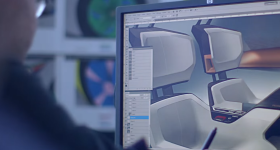 Read more about the future of 3D printing in this interview with HP Labs CTO, Shane Wall.